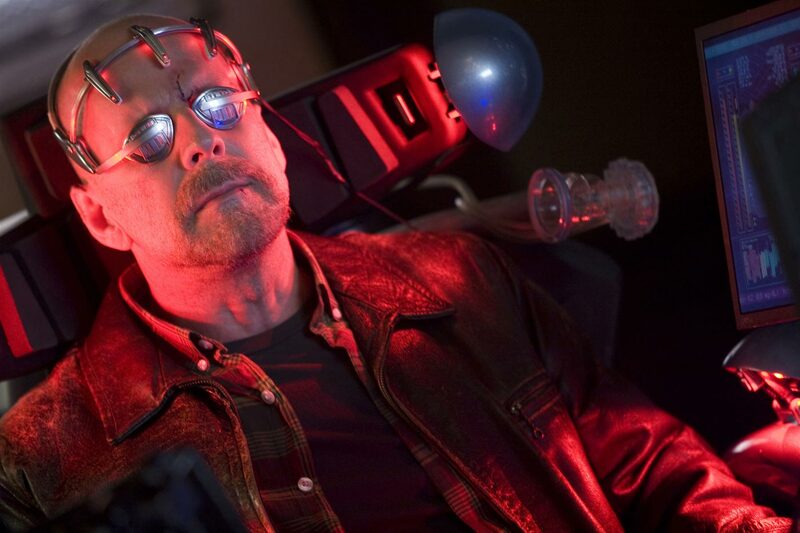 Based on a graphic comic which is a glorified comic with more pages, Surrogates was actually a surprising watch for myself that had me glued to the screen for almost 90 minutes. At times, the movie reminds me of Blade Runner, i Robot & Gamer as we are taken on a surreal journey set in the not so distant future. With mankind's addiction to perfectionism and depending on your income, you can virtually live your life through a beautiful replicant (robot) while your ageing and sickly body rests comfortably at home. These replicants are called surrogates and this perfect world is about to receive a rude awakening when the son of the founder of these surrogates is found murdered. To add fuel to the fire, it seems that the weapon used to destroy his surrogate had the ability to send a devastating feedback back of energy to the "driver" or host, destroying the surrogate and killing the host. This is where a younger and almost perfect Bruce Willis comes into the picture as FBI Agent Tom Greer, together with his partner Jennifer Peters (Radha Mitchell) who attempt to solve this bizarre murder which seems to be spreading. Evidence points to the anti-surrogate collective, led by the charismatic Prophet, played delightfully by Ving Rhames who seems more Rastafarian than religious leader. Even though Willis plays his traditional hard assed cop, he successfully manages to capture his character well throughout the movie, especially the turbulent and moving relationship with hife wife. Mitchell is a little dry as her portrayal as an FBI agent but the partnership of FBI veteran and relative new Agent Peters does create an interesting dynamic. Between the lines, it seems that Surrogates is a social commentary on our addiction to technology and more so with social networking and virtual worlds as some people portray themselves differently than they do in the real-world. This is highlighted perfectly in the movie with an obese driver controlling his beautiful young female surrogate while he sits in his filth at home. It's gross but a reality. For a science fiction thriller, there is plenty of action along the way from fire fights to car chases and without spoiling the movie, the ending actually surprised me in more ways than one. On Blu-ray, the video quality is perfect as are the surrogates with their realistic skin tones and larger than the life colours. The comparison between the surrogates and their drivers is quite noticeable throughout the movie and on Blu-ray, you can see every little flaw. To match the stunning 1080p video quality, the DTS-HD 5.1 Master Audio Lossless mix works extremely well, especially in the action scenes and even subtle ambience only highlights the film even more. Must have equipment is a FULL HD TV and surround sound. 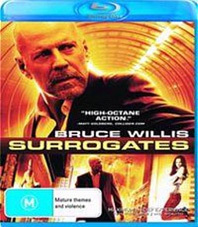 Overall, the special features gives you an in-depth look into the making and ideologies of Surrogates and although I usually skim special features, I managed to sit through all of them, including the in-depth commentary by Director Moscow, the man responsible for Terminator 3. Moscow gives the viewer a unique insight into the movie, including the original graphic novel. When it comes down to the crunch, the Surrogates is a well-made and produced movie and even though it may only be a popcorn phenomenon, there is enough content in the special features and throughout the movie to watch a few more times and even get something different from it. A good story, great acting and some visually impressive special effects, recommended!